Survivalists know it's all about the tricks of the trade. The right tools will get you far and beyond. One of the most important tools you will need is a good knife that can be used for hunting and survival tasks. The best knives were designed well and built to last, so you should expect to pay more for them. 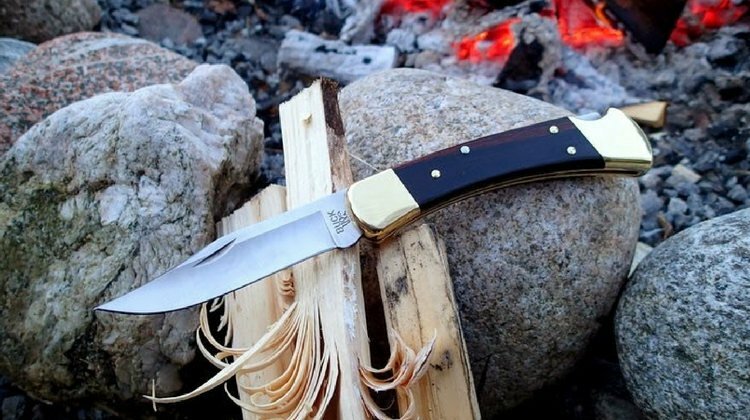 One particular brand that exceeds expectations at a more affordable price is Buck Knives, a quality brand that makes versatile knives hunters appreciate. Read on to find out which 7 Buck Knives are the best and why we think you might want to invest in one or more of these knives. Take a look on the next page to find out more. Can’t get to the article for all the redirect adds popping up. I like my Buck 471 Diamondback knife on the left. It’s a discontinued knife now. I don’t know why. It’s a real nice knife. 4 inch blade with full tang. If it ain’t a Buck it ain’t worth a…………. Ashley you can buy me any of them. It’s just a long ad for buck knives. Double check them before you buy. If I am right they are all made in CHINA. And we all know the quality of Chinese stuff. Recommend CASE knives. Made in America in Bradford PA. Seriously a buck 110? 440c and a crappie heat treatment and a so so lock… I carried a couple of em back in my younger days, never again. Agree, pretty much an ad for you to run out and buy Buck knives. Buck is a very good knife , I have 2 , one is a little shorter than this oe, makes a great pocket knife.